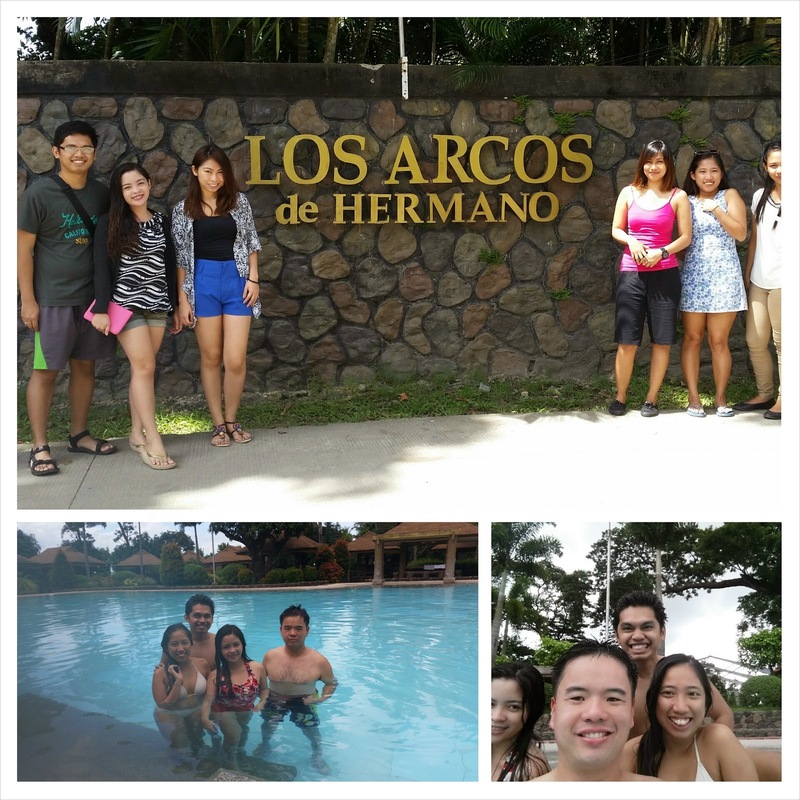 It was not an ordinary Saturday night as me and my blogger homies went to award-winning resort Los Arcos de Hermano for an overnight stay. We didn't expect much in this trip and we got a heck of a lot more. Lesson learned. Never underestimate a 4 hectare resort. I was surprised that all my homies were such good singers which left me as the backup singer. 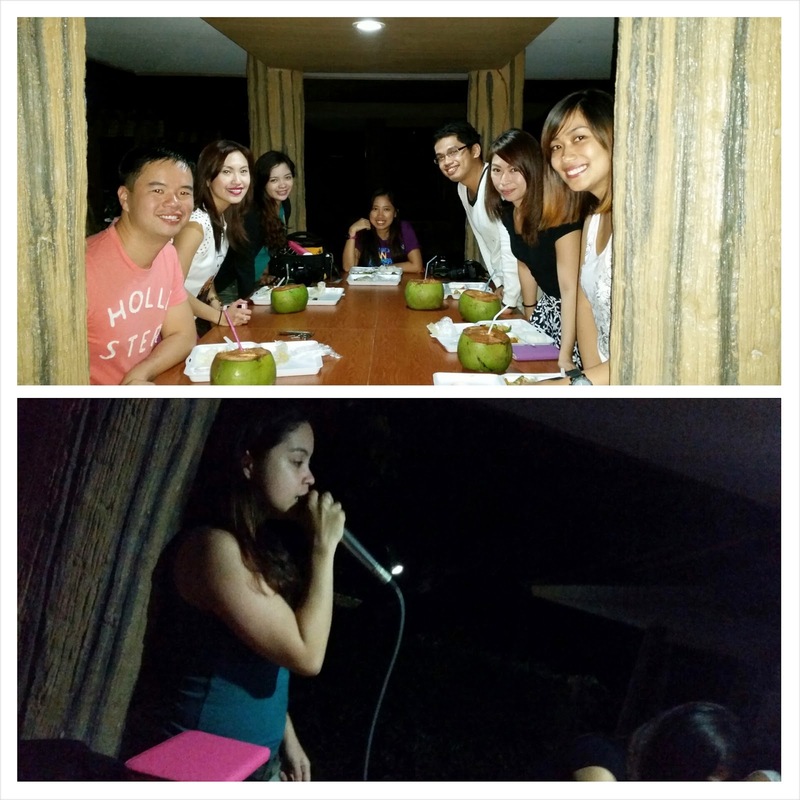 We sang the night away using the KTV and it was a great stress buster. I tried to sing and as expected, everyone else decided to hit the sack. We all got fresh buko juice due to the abundance of buko trees in the property. 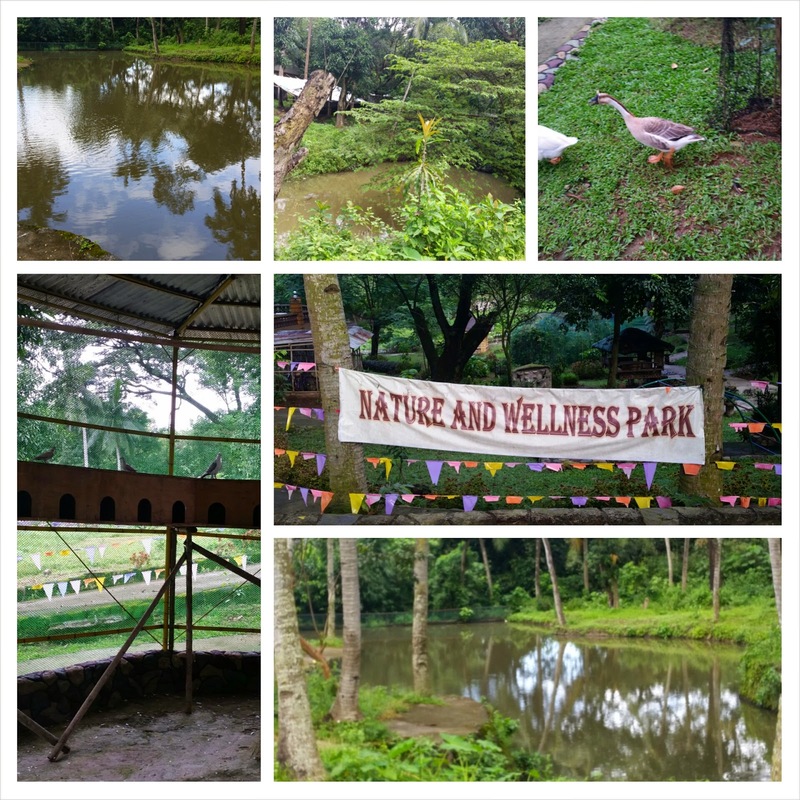 We took a tour the next day and there was this place called Nature and Wellness Park which contained a Bird Park, rabbit, duck and numerous other animals. Kids would love this part of the resort as it is like a mini zoo. There is also a team building camp where they have a facilitator to conduct the team building activities. Ever since it opened in 2012, Los Arcos de Herman can house 50 different types of events in its function rooms. There are loads of things to do here so don't blame yourself if you decide to stay for a week to get away from the hustle of the city. 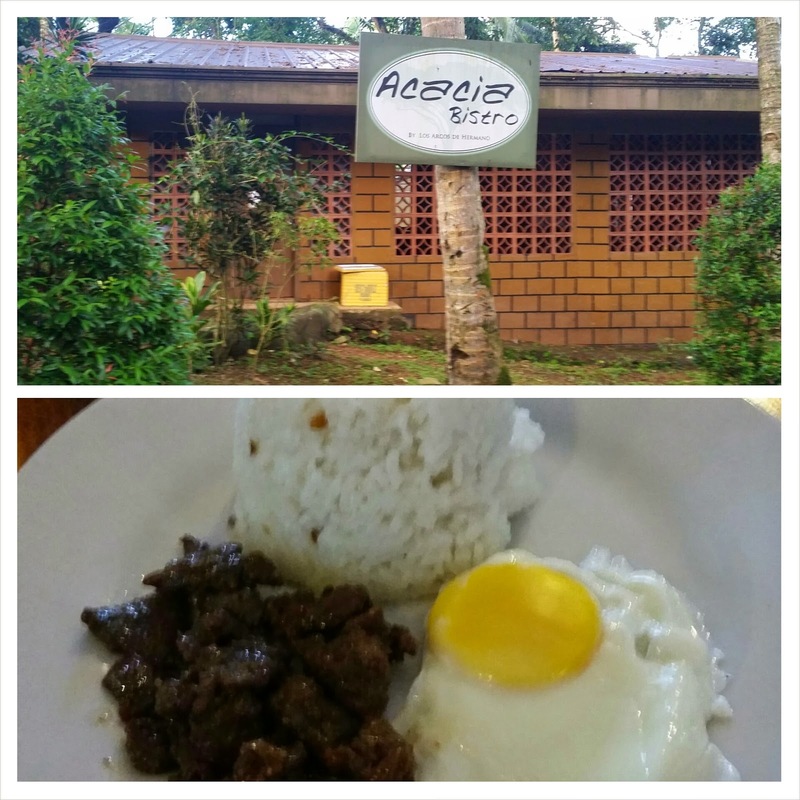 Inside the resort, there's a restaurant called Acacia Bistro where the food is incredibly cheap. 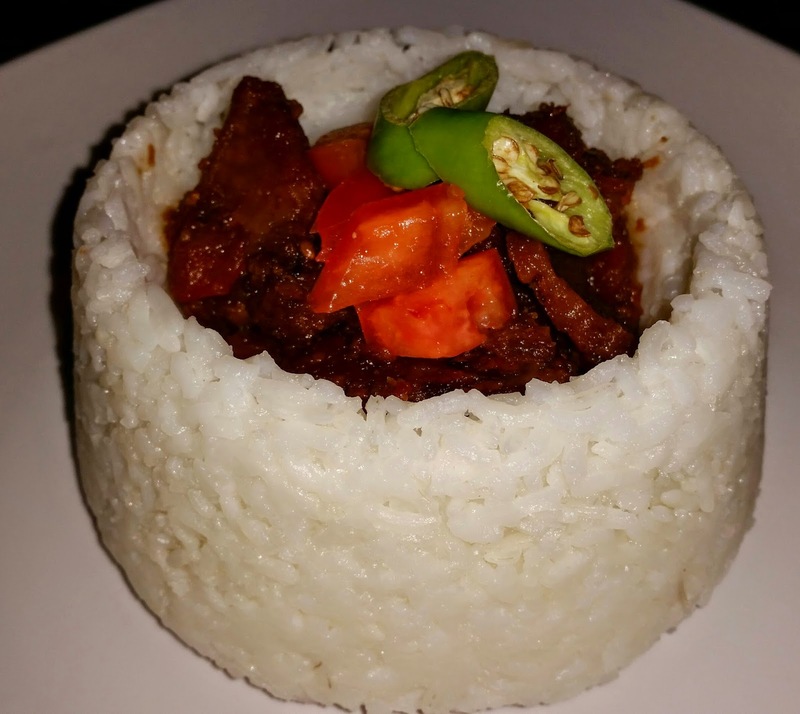 We all got a Tapsilog that was just P60. Can you believe that? 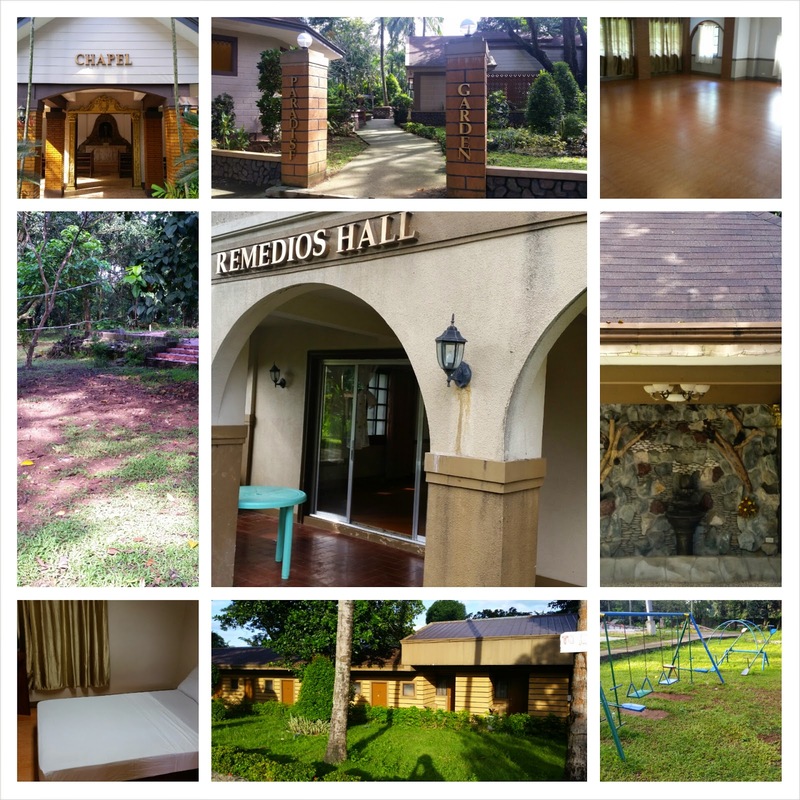 The event venues are the Francisco Hall, Ng Lio Hall, Remedios Hall, Erlinda Hermano Hall and the Paradise Garden. Since there are so many venues, a birthday celebration, a reunion and a wedding can happen at the same time at Los Arcos de Hermano. Wouldn't that be cool? We decided to take a dip in their enormous pool. There are actually 3 pools here. One is a private one, another is the infinity pool and the last one was the biggest one which was the pool where we took a dip in. The deepest here is only 5 ft. so you won't drown here and there is always a lifeguard on duty until 12 midnight. Thanks to the entire staff of Los Arcos de Hermano especially my friend Cheena for a warm reception from me and mah homiez Lonely J, N-Madz, C-Man2, Elalel and JDR. We're certainly going to be back. 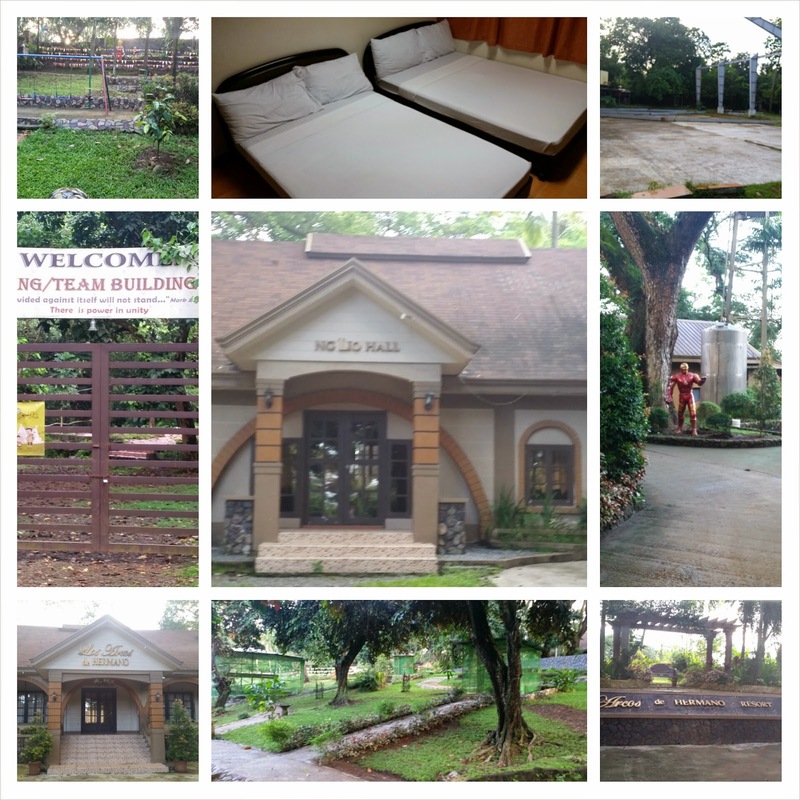 Overnight swimming P 10,000.00 , in excess is P 200/ Head, good for 30 pax, form 6pm to 6am. Before you go, say hello to my little friend..
A chance to win an overnight stay for two in this lovely resort. We are inviting you to join us as we celebrate an Eat All You Can Festival featuring a wide array of Paella choices for your own delight! Reserve 1 table of 10 and you will only pay for 9! Early Bird Reservation - PHP 500.00 only! Senior Citizen - PHP 440.00 only! You may pay your reservations through bank deposit. WHAT DO WE HAVE FOR THIS FIRST EVER PAELLA FESTIVAL? Aside from 6 different paellas, we will serve plain rice, pork sinigang, and kansi (soup with beef kneecap cooked in langka chunks and kamias). And be ready for a mini raffle draw wherein you might take home prices and souvenirs! 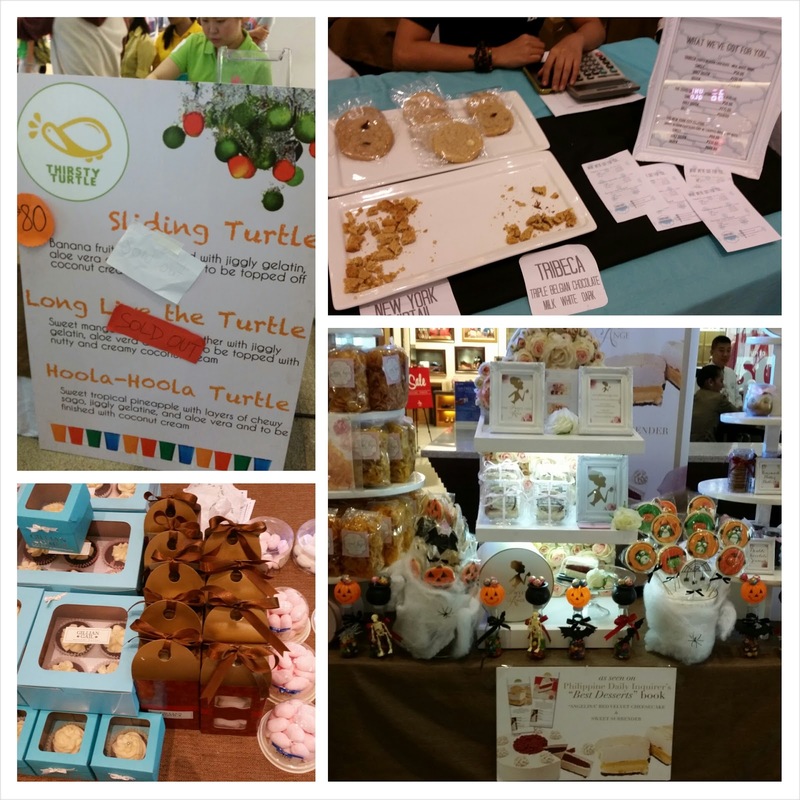 Last Sunday, I was a media sponsor at Dolce - a fund raising event organized by the UP JMA for the benefit of the Kids Integrated Through Schooling (K.I.D.S.) program at Glorietta 5. 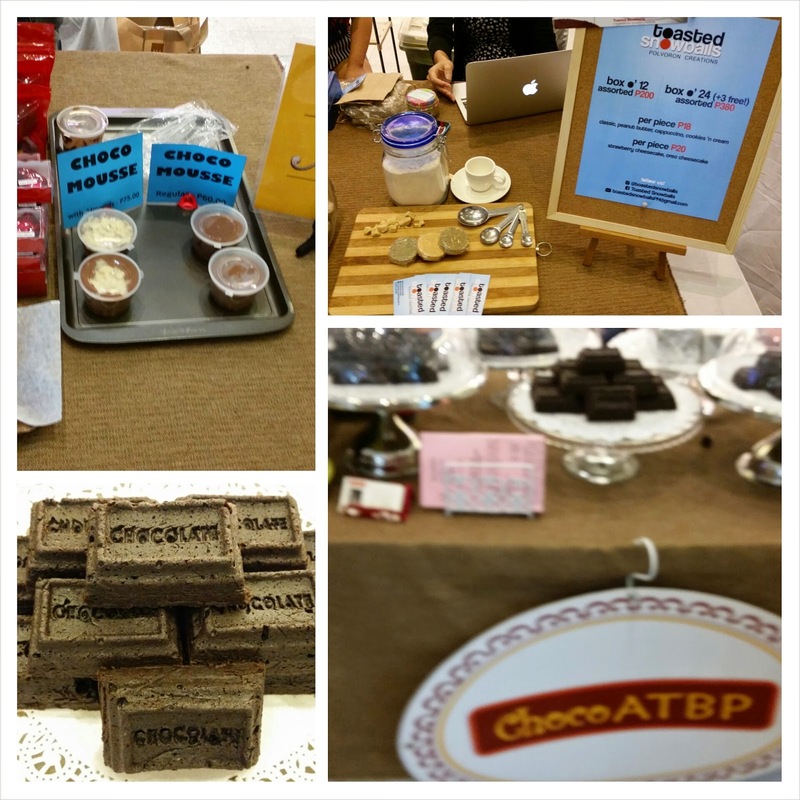 The bazaar had a variety of yummy desserts and delicious drinks. I was very happy to have been a part of this event. I can't wait for UP JMA's next event. One day (I hope it's nearer than I originally planned), I plan to become a vegetarian. However, it's probably going to be a long time before that happens since the word "diet" doesn't exist in my vocabulary right now. 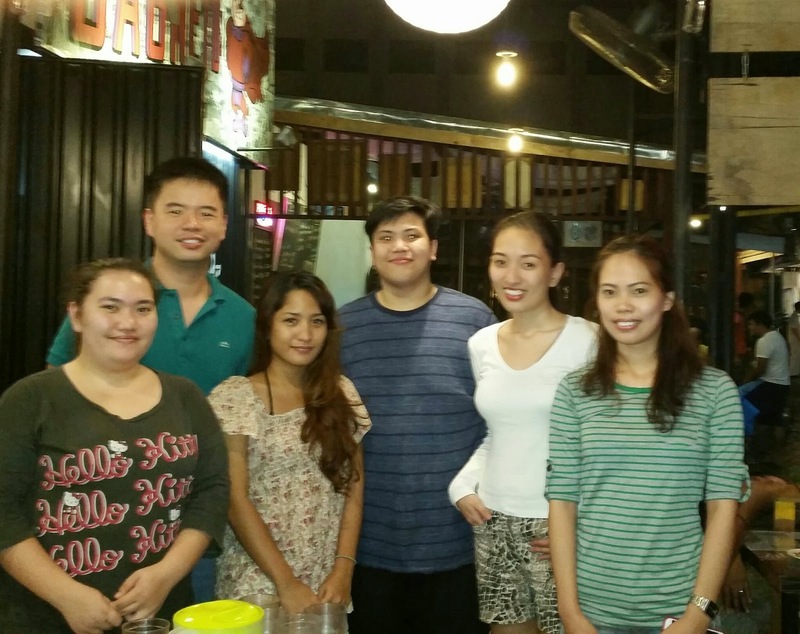 I did decide to become a vegetarian for a day when I hosted a mini-blogger event at Green Bar. 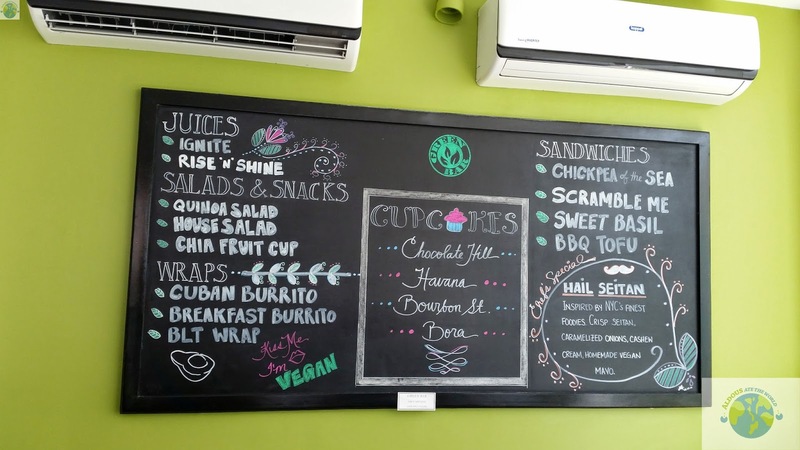 I decided to go all the way from north to south just to try this much talked about Vegan restaurant. Was my trip worth it? Let's find out. 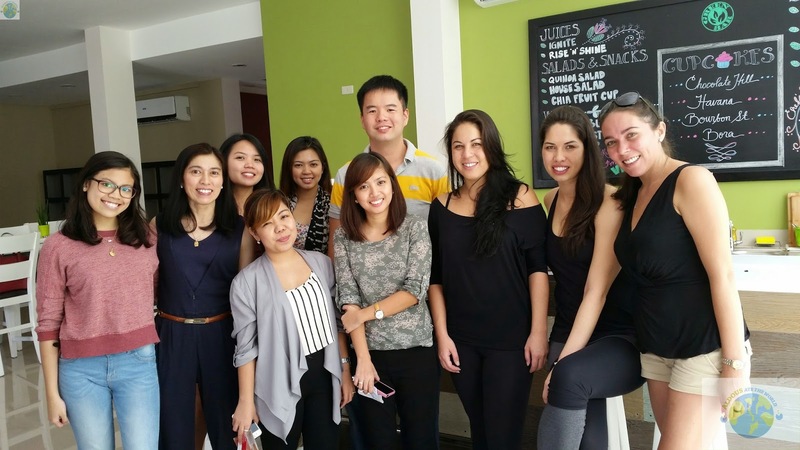 Green Bar is located inside the Beyond Yoga building at Westgate because it is brought to us by the same people who owns Beyond Yoga Alabang branch, sisters Sarada, Michelle and Jaderani. It is a nice place to relax after an hour of yoga. The Hail Seitan (P350) is far from a devilish dish. 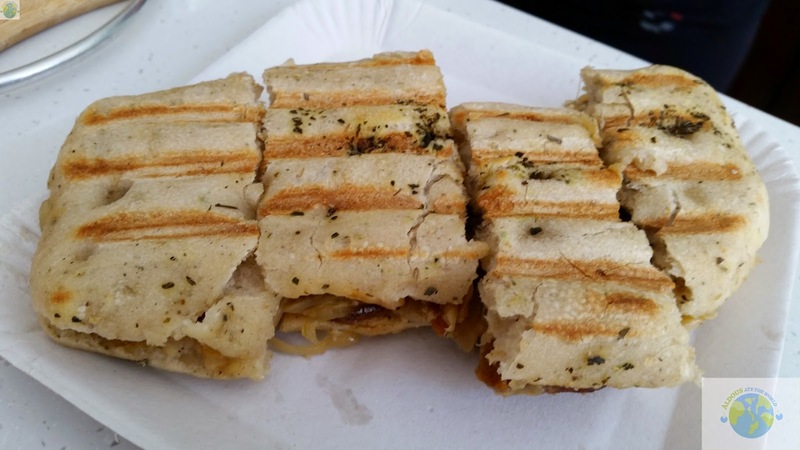 It is inspired by New York City's finest foodies so it is no surprise this is their best seller. Inside this tasty looking sandwich is caramelized onions, crisp seitan, cashew cream and vegan mayo. The fact that it is served warm by grill just makes it even better. Mama Mia! The Cuban Burrito (P200) contains red rice, black beans, fried plantains, mildly spicy seitan, pico de gallo and chimichurri sauce. Despite the number of ingredients inside the burrito, the taste is simply magnificent. I would highly suggest starting the day off with the Breakfast Burrito (P220). 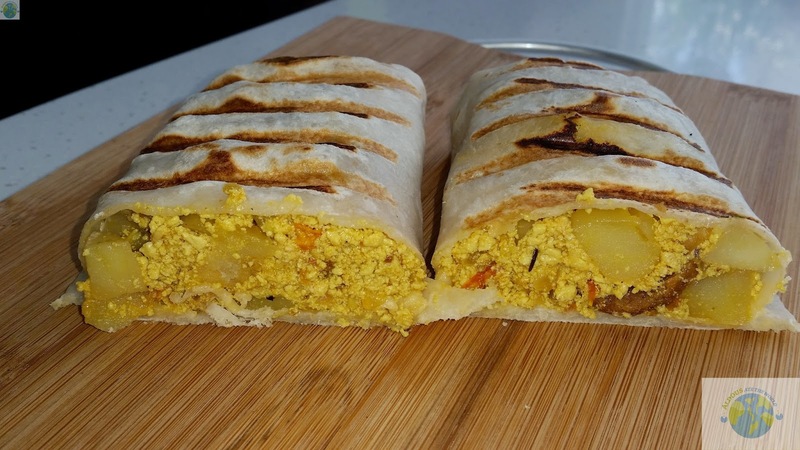 This goodie is loaded with scrambled tofu, roasted potatoes and slightly sweet seitan sausage. Breakfast has never been this good. 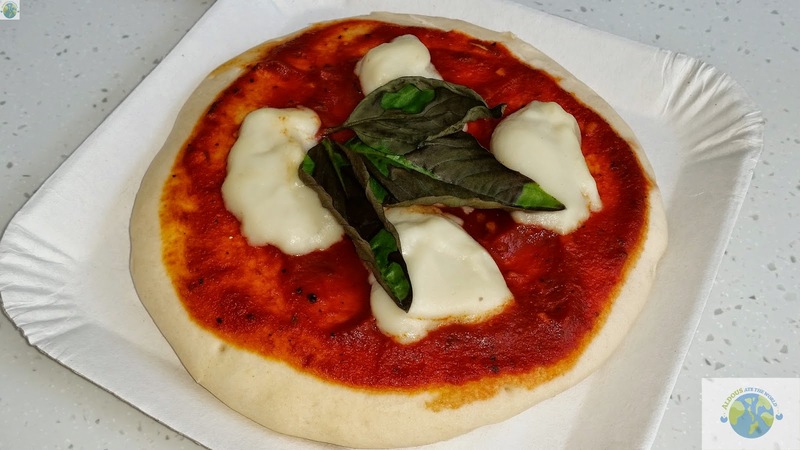 The Sweet Basil (P200) contains grilled tomatoes, mozzarella cheese and of course sweet basil. The ooziness of the cheese made this dish really worth it. There is no need for meat indeed as this sandwich is my favorite out of all that was served to us. Bourbon Street (P100) contains bacon but it is actually mock meat. 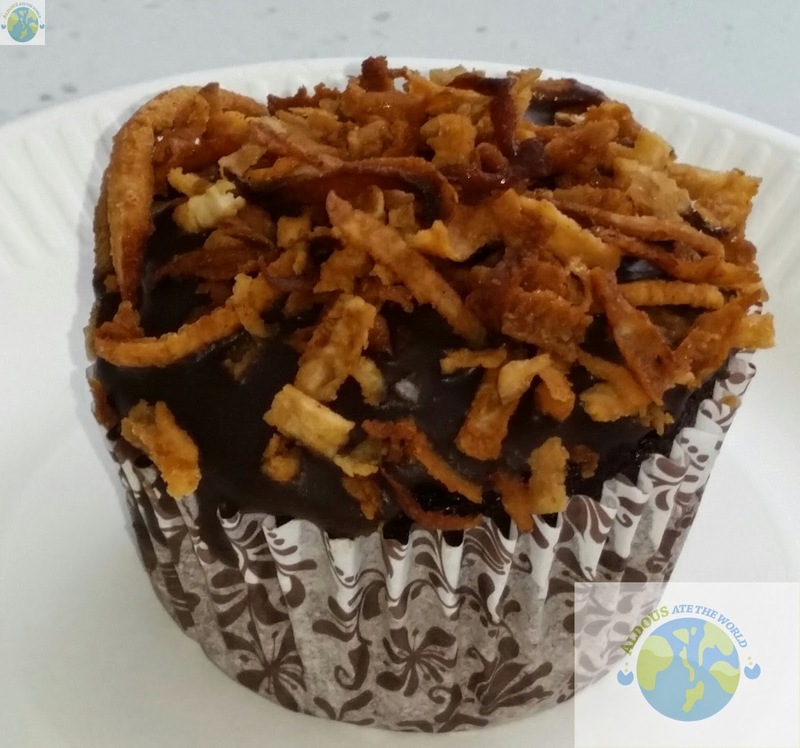 This cupcake will surely get you up in cloud 9 in no time. Chocolate lovers would love the Chocolate Hill (P100). 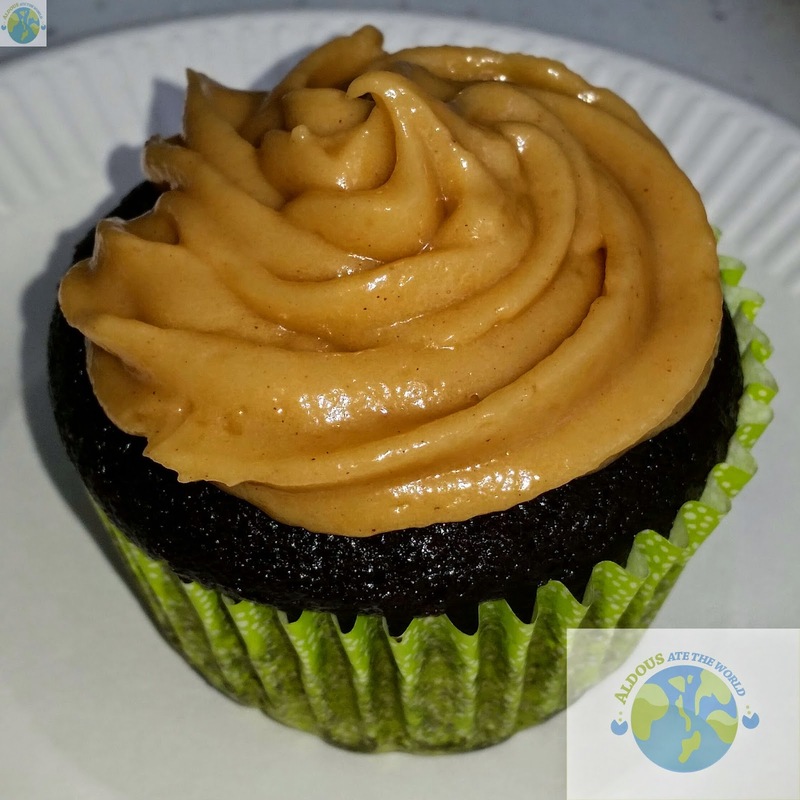 Its fudge filling and peanut butter cream would make you crave for it over and over again. Havana (P100) is an addicting cupcake despite the fact that it doesn't contain a lot of sugar. It's vegan fluffy whipped creame inside moist vanilla cupcakes. 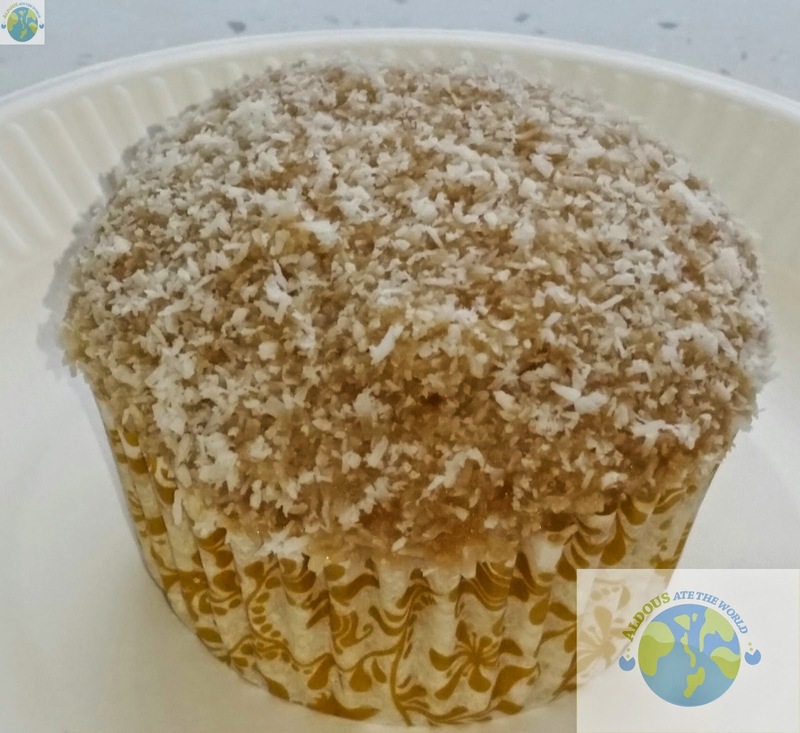 The taste of coconut is without a doubt the highlight of this cupcake as it is sprinkled with coconut bits. The power balls are ideally taken before exercise as these things would surely get you energized. 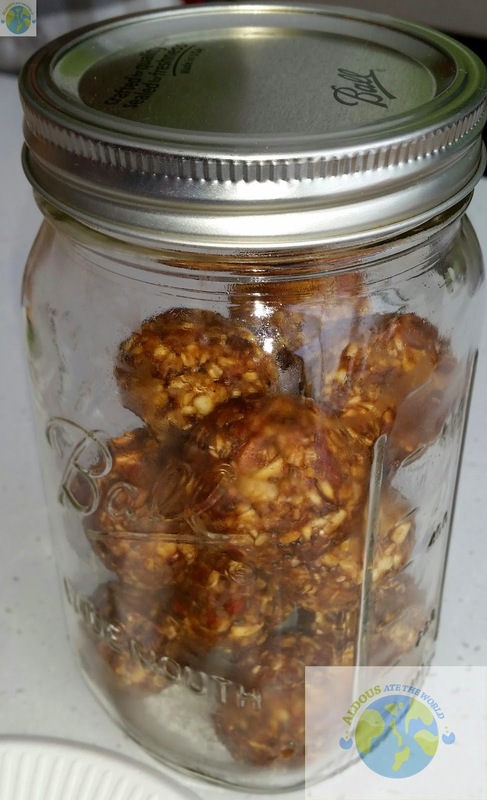 It contains nuts, almond butter, chia, flax, goji, perfect crunch and a touch of sweetness. Substitute this for your chips and watch the benefits. I must thank Michelle, Jaderani and Sarada for a fun day of being a vegetarian. Anyway, it turned out to be just half a day for me but I am still hoping that somewhere down the road, I would discipline myself and eat healthy. 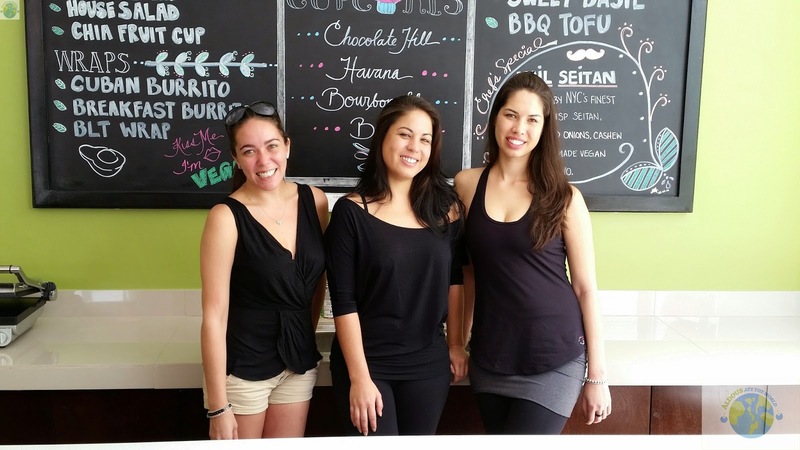 For all the South vegetarians out there, do check out this new vegan restaurant. The Antipasto (P475) is loaded with 6 different types of appetizer. There are so many choices that you don't know which one you will eat first. 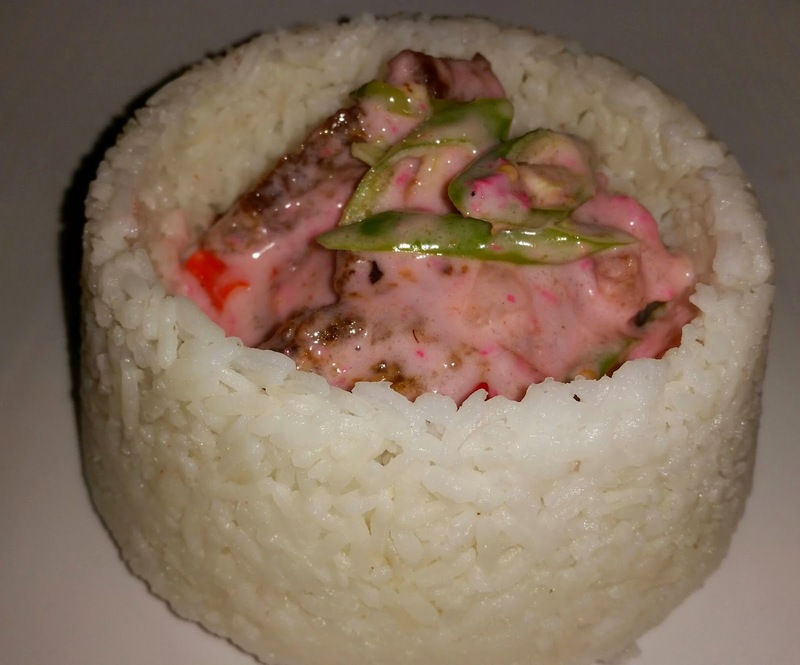 In fact, when I was pointing my fork in this dish, it kept on going into different directions. 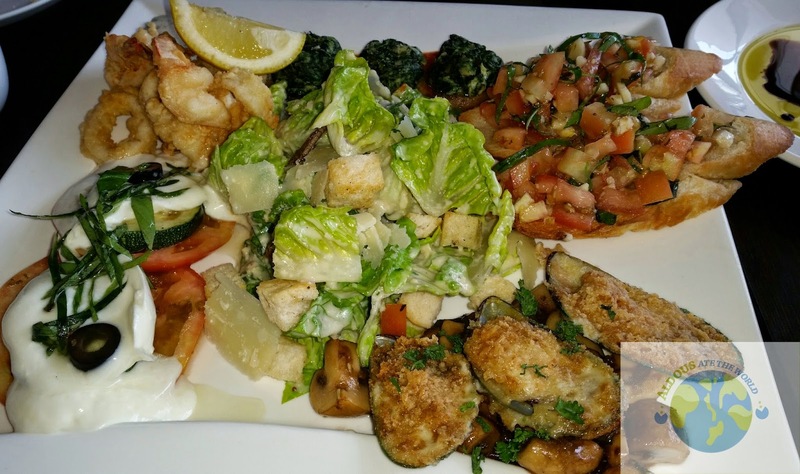 It had Crispy Prawns, Tomato Bruschetta, Stuffed Mushroom, Mussels Gratin, Cheese and Zucchini Salad and Ceasar Salad. 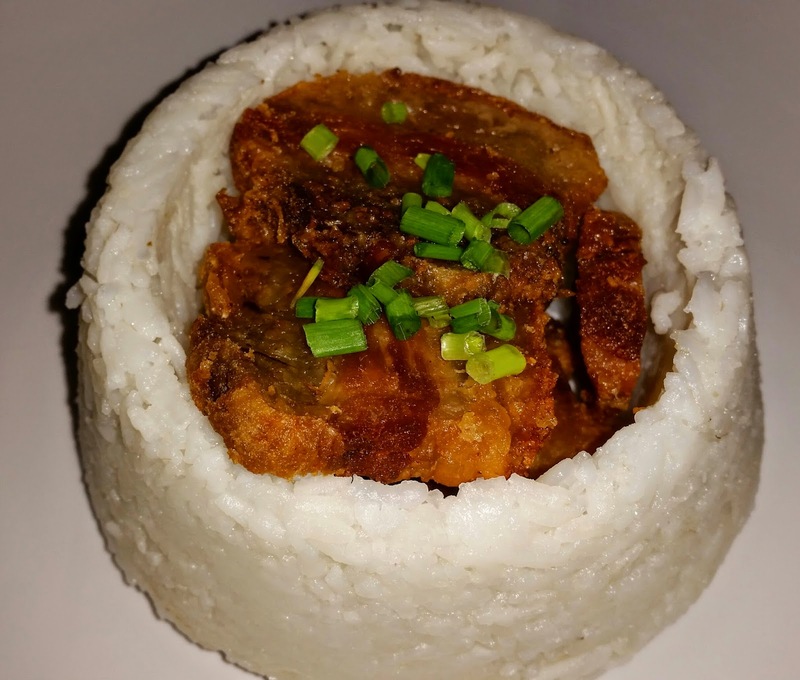 I thought the crispy prawns was the best among the six but the other bloggers thought differently. Oh well, to each his/her own. When I eat at a restaurant that I haven't eaten before, I would always make it a point to sample their house iced tea. 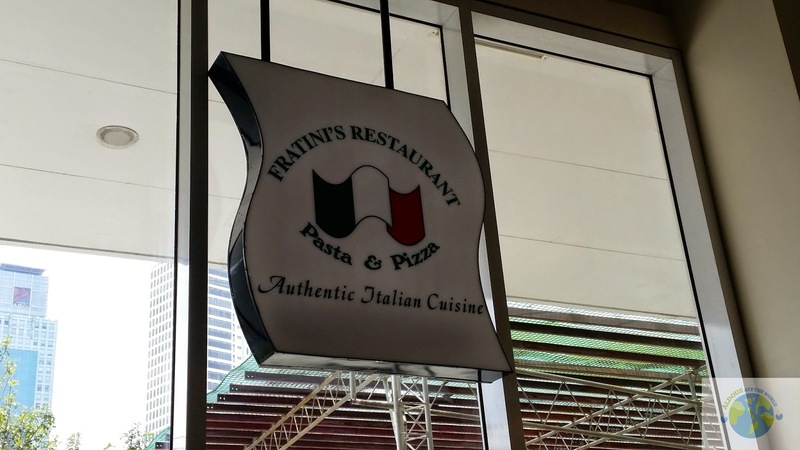 Fratini's has the wonderful Butterfly Iced Tea (P105) which is fresh orange juice on top of their house blend iced tea. 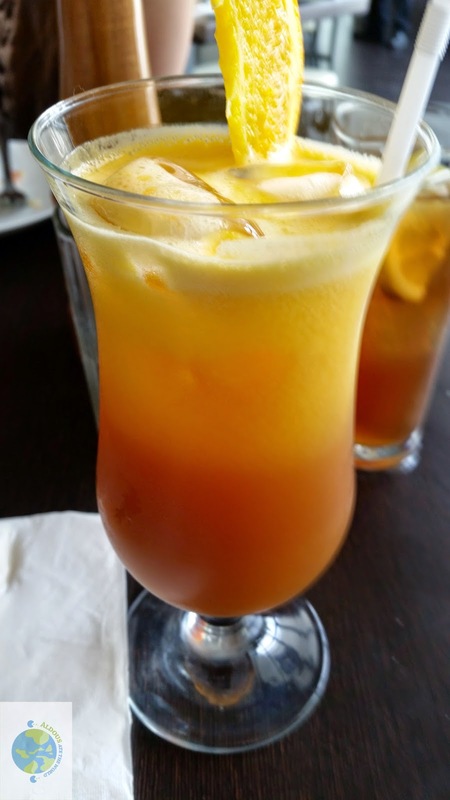 It turned out to be one of the best house iced tea versions I have ever tasted. 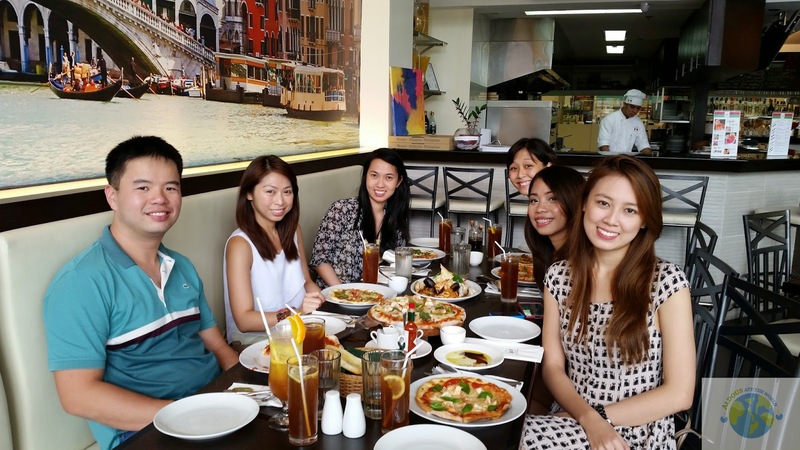 All 6 of us bloggers actually got to make our own pizza (P225 with 3 toppings) from scratch. It was a fun experience to say the least. I suddenly realized what F&B Manager Jojo meant when he asked us if we were ready to get our hands dirty. My pizza looked like it was used as a frisbee in a pick-up game but it wasn't bad for a beginner. I put bell pepper, onion and chicken in my pizza and called it the Piznatch for some reason. Since I was the one who made it, I would probably charge P990 because of the TF alone. Haha! 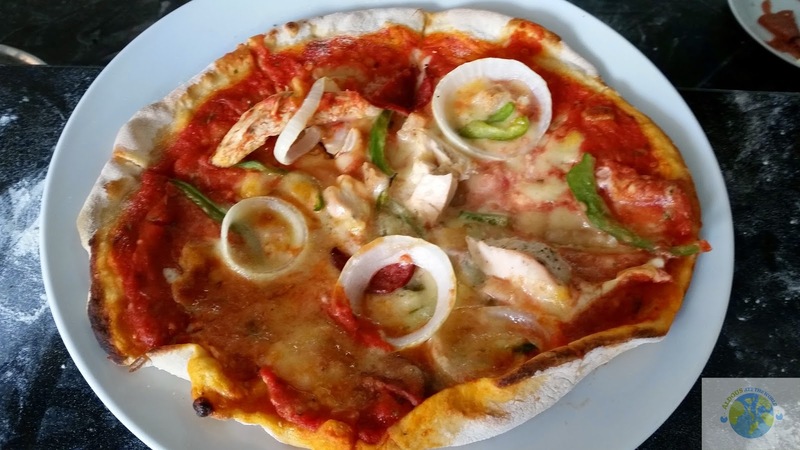 The Supreme Pizza (P495 12", P815 187") is actually half tomato sauce and half cream sauce. 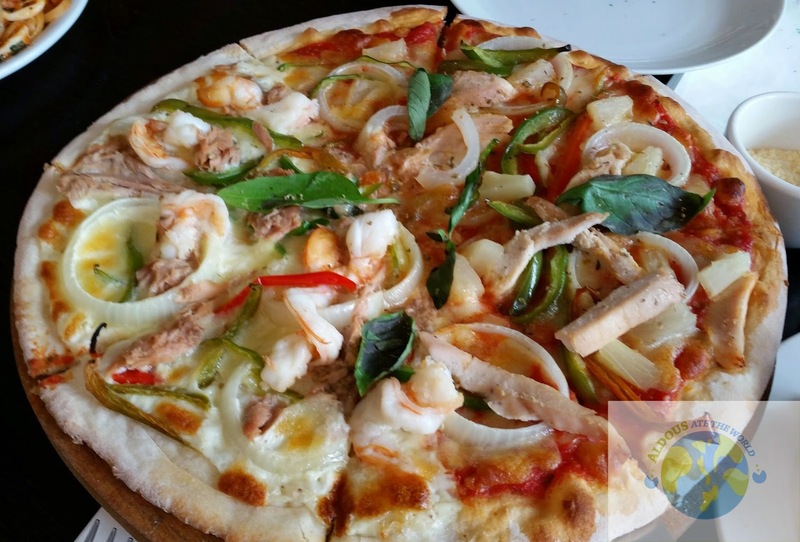 The white half had mozzarella cheese, tuna, prawn tails, onion, chili, capsicum while the red half had tomato sauce, mozzarella cheese, chicken breast, onion, capsicum and pineapple. I ended up liking the cream sauce half better than the tomato sauce half. 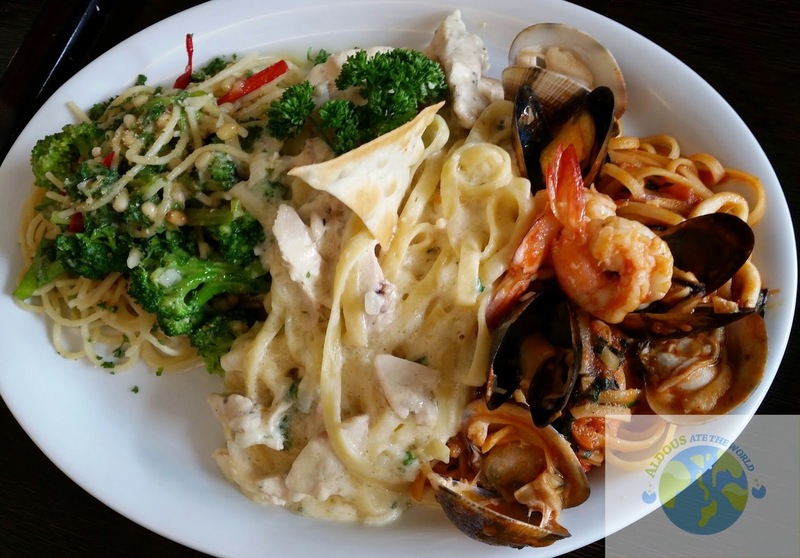 In case you can't decide which pasta dish to order, why not go for the Pasta Trio (P755)? 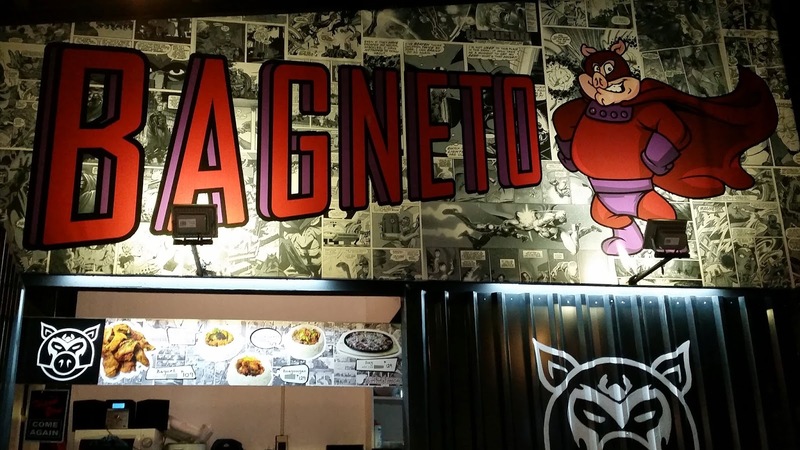 It is a combination of their 3 best-selling pasta dishes. 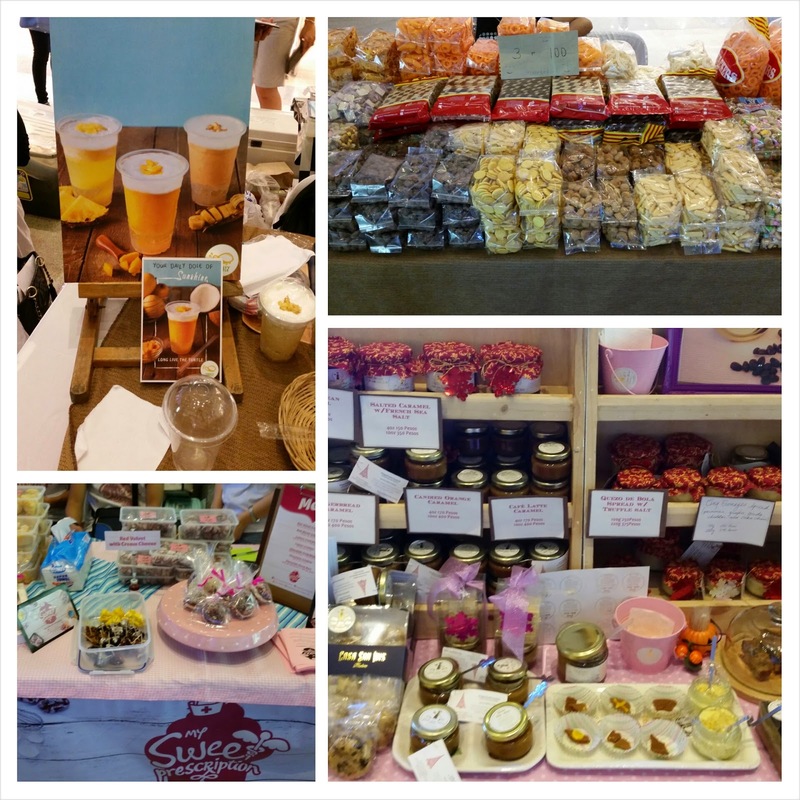 The Spaghetti Alla Pugliese, Fettuccine Carbonara and Lunguine al Fruiti di mare all showed why they were best-sellers. I loved all of them especially the Lunguine al Fruiti di mare. It is one pasta dish I could eat all day long. 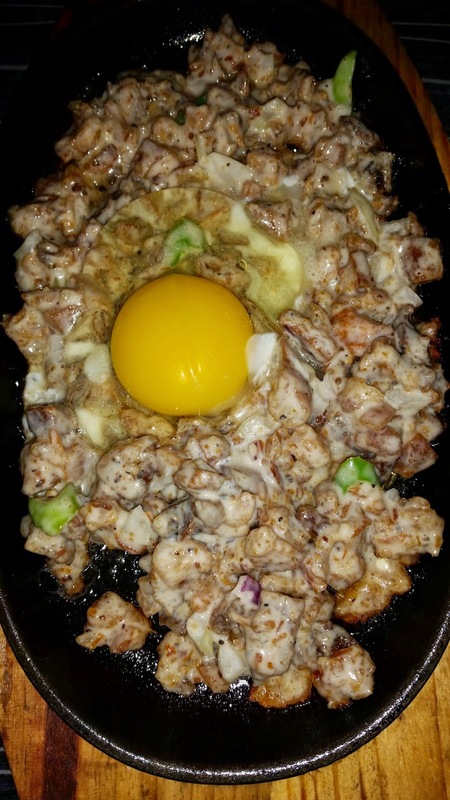 Meat lovers, get ready to drop your jaw at the sight of the Mixed Grilled Meat (P1455). 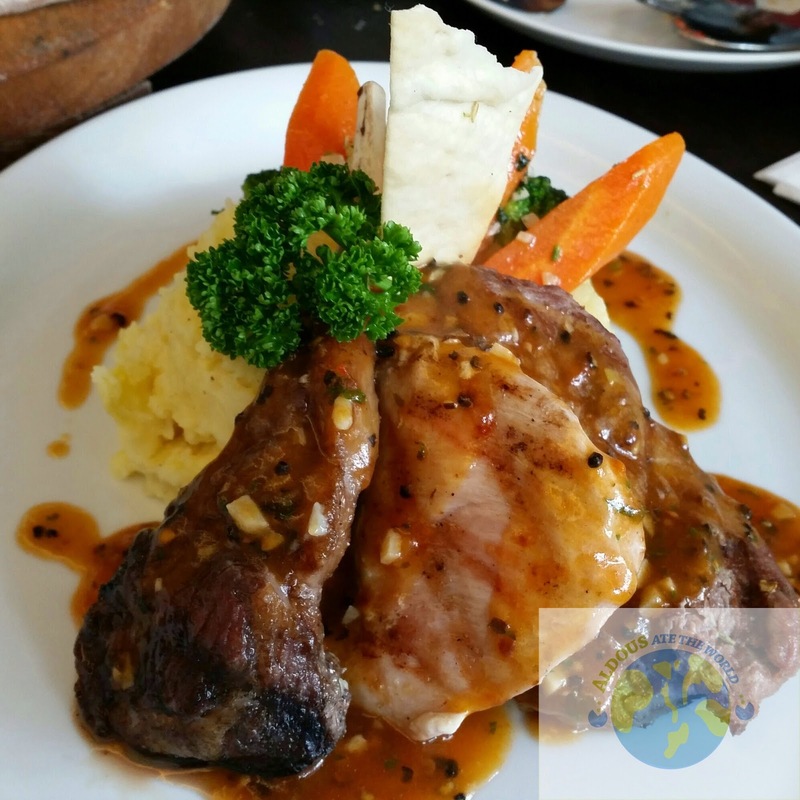 It has freshly grilled lamb, tenderloin and chicken breast in black pepper sauce accompanied by vegetables and mashed potatoes. I think it would have been better if this had mushroom sauce instead of black pepper sauce as there were times when I swallowed the pepper in full. 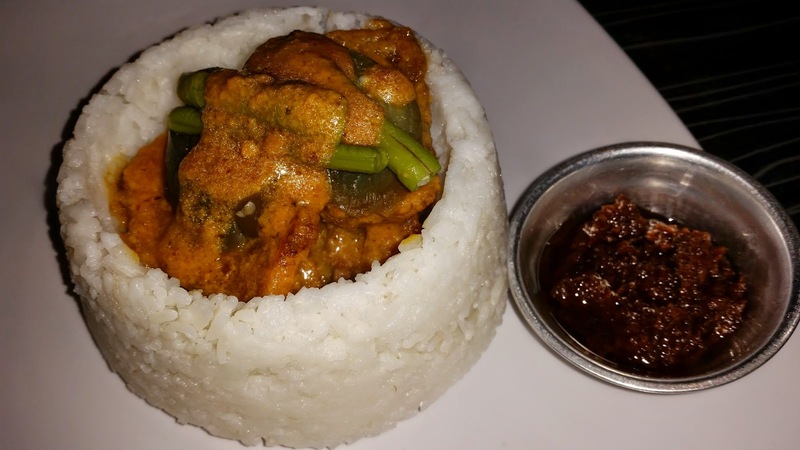 I loved all the tender meat in this dish though and it is pretty much worth the price. My favorite cake is Tiramisu so I got ecstatic when I saw their Tiramisu Tradizionale (P205). 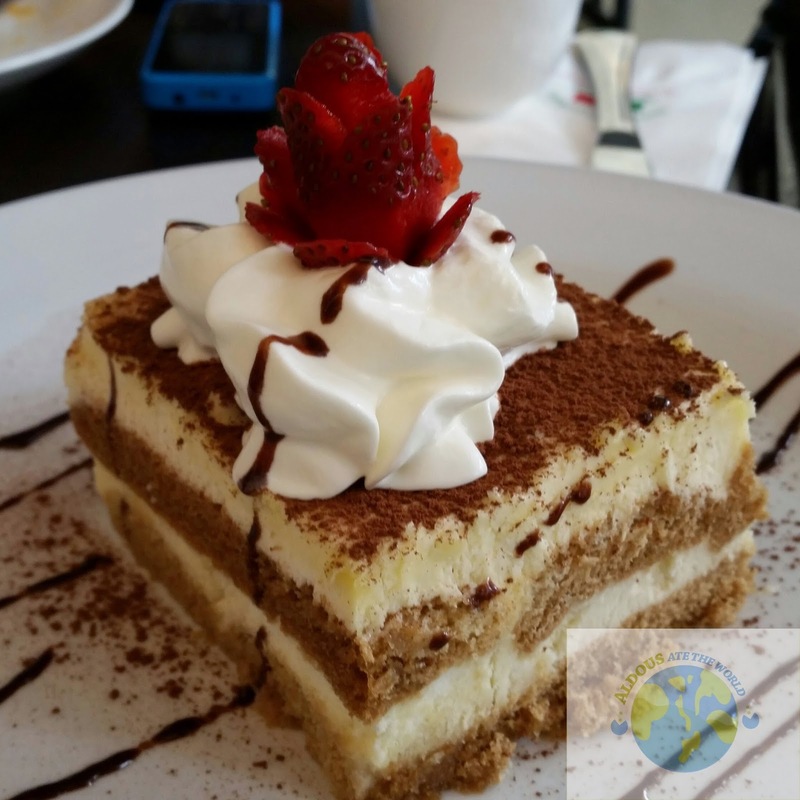 I loved their version a lot and it is something I would recommend to other Tiramisu lovers. We ended the night with their Classico del pudding di choco (P175). 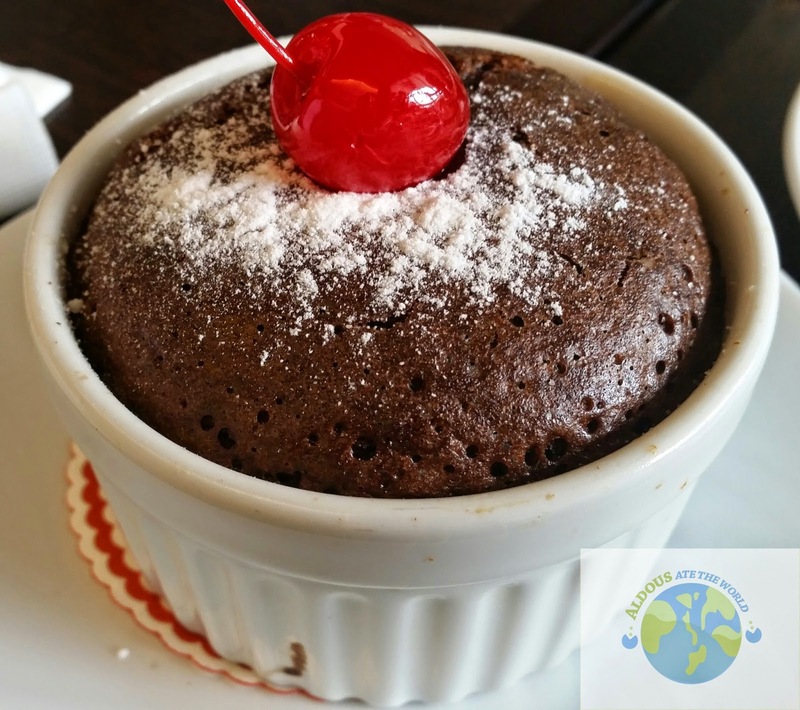 It is their version of fresh home-made chocolate pudding and its warmness made it very tasty. Word of Advice: Don't wait until this one gets cold.